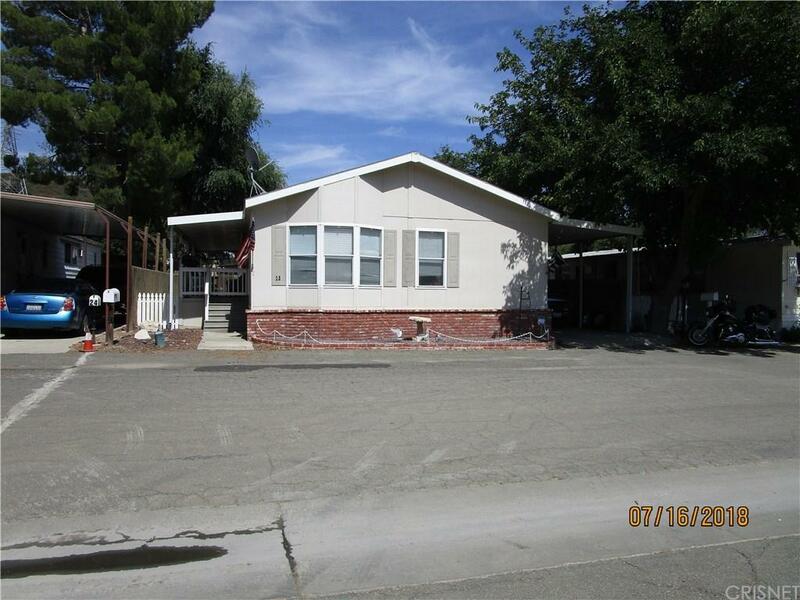 Rare hard to find 4 bedroom, 2 bath home built in 2005. All four bedrooms very spacious, Master and one other with walk in closets. Master bath with large soaking tub and separate shower unit. Second bath has tub/shower combo. Kitchen has large island with area for stools, Built in micro wave over stove, refrigerator included. Spacious Laundry room just off kitchen. Fans in Living Room and all 4 bedrooms. Master and LR fans have remote controls. Central air. Home just across the street from the playground. Large pool and clubhouse for residents use. Large Tuft shed on lot at end of driveway. Large front porch for these summer evenings. Covered car port. Home has used brick trim. Interior of home is in process of being painted and all new wood laminate flooring installed. THIS HOME IS NORTH OF LA IN THE SANTA CLARITA VALLEY. IT IS NOT LOCATED IN OR NEAR ARCADIA.Seller willing to pay 2 months of space rent to new buyer.